Isabel Oswell, head of business audiences at the British Library reflects on how your library card could be your passport to business success: When did you last visit your nearest city library? Have you always associated them with books, rather than business? Well, think again. Here at the British Library we are engaged on a mission to help broaden the scope of city libraries and transform them into hubs of entrepreneurial activity and economic growth. Inspired by a visit to New York’s Science, Industry and Business Library back in 2003, we embarked on our own metamorphosis in 2006, with the opening of a Business & IP Centre in our iconic building near Kings Cross. The centre supports aspiring entrepreneurs to take advantage of the incredible business information resources that we hold, including market research and intellectual property databases, which are available for free – and for which you would pay a great deal elsewhere! The Library's collections are complemented by a regular programme of practical workshops and clinics delivered by our staff and our trusted business experts, as well as popular networking events. 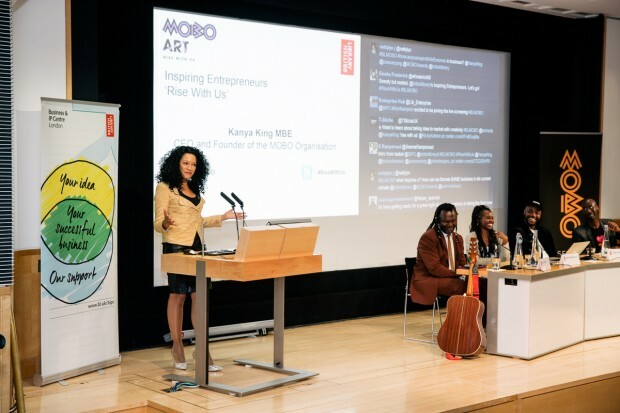 Since 2006, we have welcomed over 450,000 people through the doors and we’re bracing ourselves for this year’s Global Entrepreneurship Week (16 – 22 November), which is when people and organisations around the world celebrate entrepreneurship in all its forms. The theme of this year’s week of events is ‘Make It Happen’ and that’s what the Business & IP Centre does every week of the year. We act as an enterprise hub in the heart of London, which connects people to our collections, expertise, trusted business partners and many relevant organisations beyond the Library. Building on this successful blueprint, our ambition is to open 20 Business & IP Centres in city libraries across the UK by 2020. So far, we have opened Centres in Birmingham, Manchester, Liverpool, Newcastle, Leeds and Sheffield and we are developing two more in Exeter and Northampton. All these Centres are part of the Patent Library network, have up-to-the-minute business databases and specialist expertise in helping people to protect and commercialise their ideas. All of them will also be taking part in Global Entrepreneurship Week with an action-packed programme of workshops and events. Our flagship events programme Inspiring Entrepreneurs, featuring Deborah Meaden (Dragons’ Den), Oliver Tress (founder of Oliver Bonas) and Lord Bilimoria (founder of Cobra Beer), will be live webcast and screened across the national network. 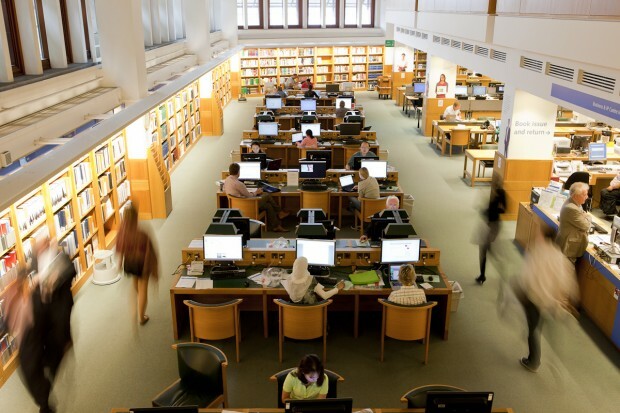 Given their central location and accessibility – not to mention desk space and free WiFi – city libraries are perfectly placed to be entrepreneurial hubs. Their position as trusted and open places in the community also has the potential to change the face of UK entrepreneurship: we’re extremely proud that over the past two years alone, the current network of Centres has created nearly 1,700 new businesses and 4,200 jobs and generated £15.35 in turnover for every £1 of public money spent. This is due to rise to £87.15 by 2018. Over half of those people who started a business using one of our Centres were women and nearly a third were from ethnic minority backgrounds – this compares well with the national average of only 18% and 8% respectively. Further, a quarter of these new business owners had previously been unemployed or made redundant. So, if you want to be your own boss and are thinking of turning your brilliant idea into a business, make sure you check out your nearest Business & IP Centre to benefit from the free, accessible business and intellectual property information and knowhow you will find there. I think you will be surprised!